My Life as Annie: faith lift fridays ~ resolutions? 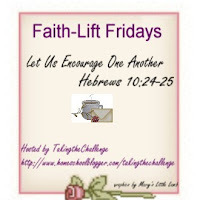 faith lift fridays ~ resolutions? The end of the old year and the beginning of a new one is a great time to take inventory of what has happened in your life and plan for what's ahead. Some people don't think it's good to look back and they certainly don't think it is good to make New Year's resolutions. But this passage of scripture tells us to "ponder the path of thy feet." Ponder means "to weigh mentally." You can't weigh something unless you have something to weigh it against. If you don't have any goals, there's no way to evaluate whether or not you're making progress. We all need something to shoot at. Otherwise, we'll shoot at nothing and hit everytime. There are dangers associated with setting goals and making resolutions. If we stretch ourselves too far we are destined to fail. This just adds to our sense of guilt and frustration. The Bible advocates vision and goal setting, but we need to exercise wisdom. We shouldn't set goals arbitrarily, independent of God. Establishing goals contrary to His will just absorbs all our time and keeps us from Him. It's beneficial to look back and remember the good and learn from the bad. In order to plow a straight row, we must fix our eyes on a point far out in front of us. Use this time to see if your life is going in the direction the Lord wants it to. If it's not, then there needs to be some changes. It's foolish to keep doing the same things expecting different results. Ponder the path of your feet today, and take appropriate steps! 1. Spend more time in God's word. His word is food for my soul. I need to put my spiritual nutrition far above anything else. 3. Take more pictures! I get so busy I forget... but they really do record life! 4. Pray more. Prayer is one of my first and favorite things to do, but I think more is always better in this area! 5. Rest in God's promises and let go of trying to control things. 6. Make my bed first thing every morning. 7. Drink more water (blech)! Sheryl is the host of faith lift fridays each Friday. You can visit her to share something that has lifted you up or just read the posts of others! By Adela Jung : Not all of us like soda and flavored drinks, but plain old water can get boring after a while. Here, the clean flavors of cucumber and orange steep in water for a refreshing twist. Combine all ingredients in a large pitcher. Cover and chill in the refrigerator for at least 30 minutes. Serve." Loved reading this, Annie. I hate drinking water, too. Something from Sonic is much more appealing, huh? Ooooohh, your new look is so very pretty. I'm going to read your post now. Loved this, I HATE drinking water too, I almost have to force myself to drink any at all. great post, I love your new look, I so wish to have a new look! This is great! Hope you have a wonderful weekend! Wise words and great goals! Quite a few of those are on my list too! Have a blessed year, my friend! I think all the things you are thinking of are great goals - I need to get back into the word more - it just makes you feel so much better and safe! Water and walking are MUSTS (sorry dude) and pictures are the best! What an encouraging post Annie! I finished reading through the bible for the first time in October 2007- a 16 month journey in all. It has benefitted me (and as a result my family) in so many ways. His Word IS my road map for the New Year. I treasure time spent in His word and presence! Perspective like yours is rare these days. . . thank you for the post! Great post and super reosolutions. You are an example to all. That is such a wonderful post, Annie. 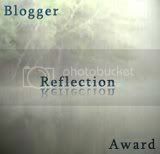 Thank you so much for giving me much to think about--that's why I love visiting your blog. Great thoughts Annie. So many of your goals are applicable to many of us. I love the water recipe Loving Annie posted. I may mix some of this up tonight to take to work tomorrow. I keep trying to make myself drink one whole water bottle at my desk before my lunch which I allow myself to have that diet coke!